100% Cotton fabrics on front and back. Brown and Orange hand dyed fabric, with touches of purple and black at the bottom, is hand quilted with 100% brown cotton thread. 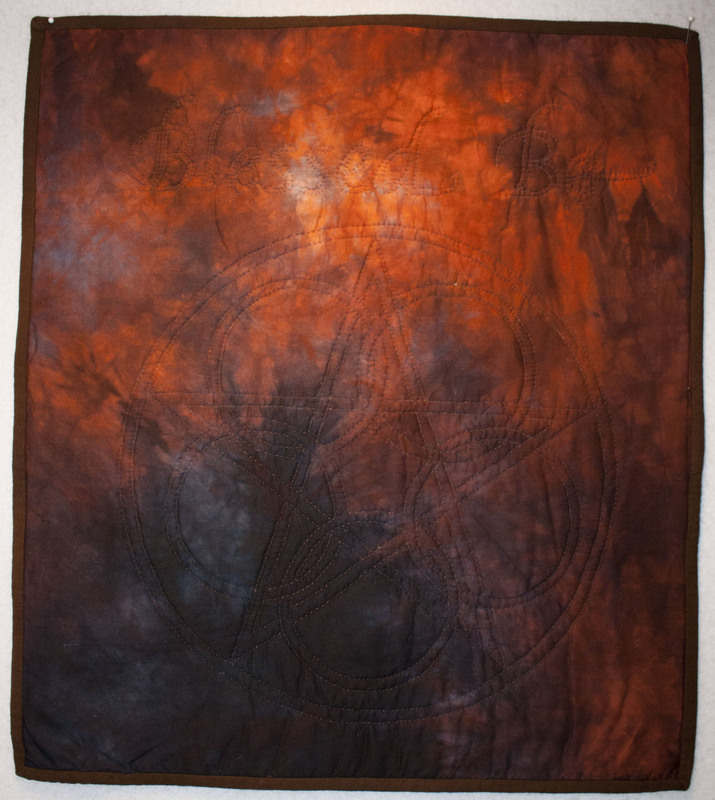 A pentacle intertwined with the Celtic wheel of eternity and "Blessed Be" are all hand quilted in brown thread. Backing is a orange and redish/purple batik and the piece is bound in hand-dyed brown. Hanging loops on the back make it ready to hang and enjoy!